Please note no loading ramp supplied. 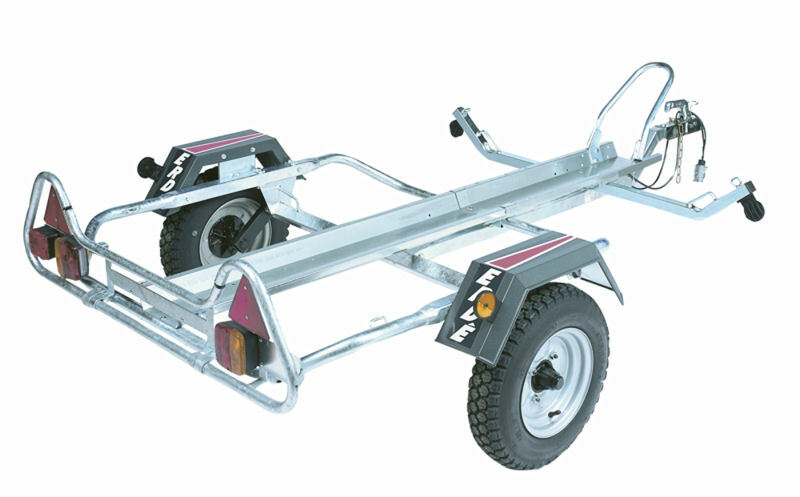 The Erdé PM310/1R Single Motor Bike Trailer is able to carry a single motorbike up to a maximum weight of 240kg. Designed with a low ground clearance of just 38cm gives the trailer a low centre of gravity, allowing for easier loading and making the trailer very stable when towing. As with all Erdé trailers the PM310 Single Motor Bike Trailer meets and exceeds the new type approval legislation being enforced as of October 2012. As a result each trailer produced to these standards has to be supplied with a Certificate of Conformity, an example of this certificate is included with the trailer images above. Also available is a comprehensive range of accessories to further increase the versatility of each Erdé trailer, see below for a full list of accessories suitable for this trailer. Handle bar straps and a loading ramp are highly recommended, as is a spare wheel and support.